 Flygplan MiG-25PD "SOviet Heavy Interceptor Fighter"
Flygplan MiG-25PD "SOviet Heavy Interceptor Fighter"
Flygplan MiG-25PD 'SOviet Heavy Interceptor Fighter', längd 307 mm, vingbredd 195 mm, totalt antal delar 98 st, plastbyggsats. 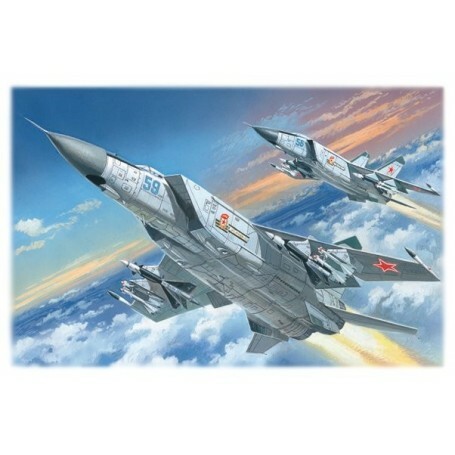 In the end of 60s in the Mikoyan design bureau it has developed the worlds first fighter interceptor with speed of 3M the MiG-25. The most perfect modification MiG-25 PD was produced in 1978-1984.